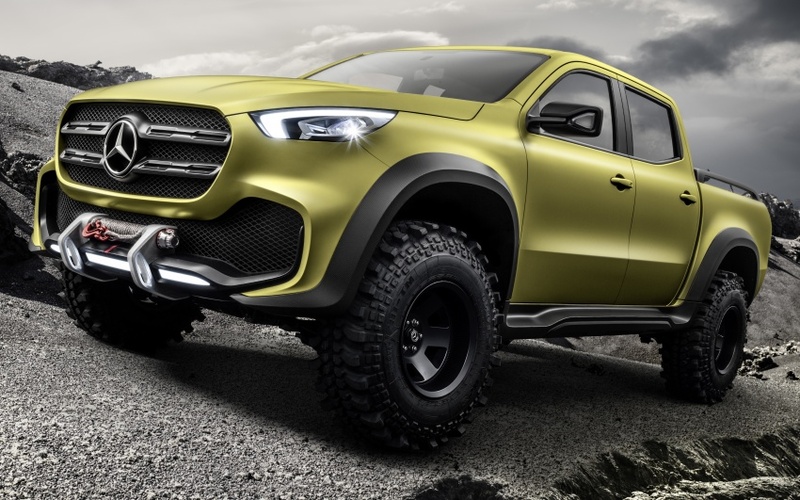 Mercedes-Benz has officially introduced its first pickup truck, named the 'Concept X-Class.' 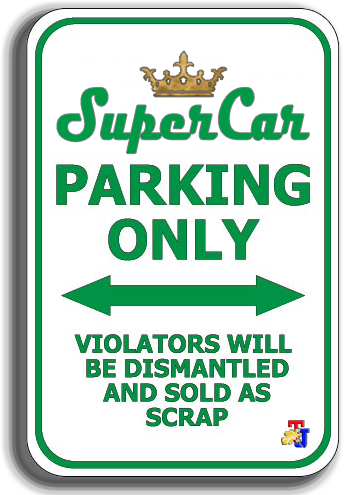 In fact, rumors of the arrival of the car has been wafted a long time. Mercedes-Benz Concept X-Class is still in the concept form. 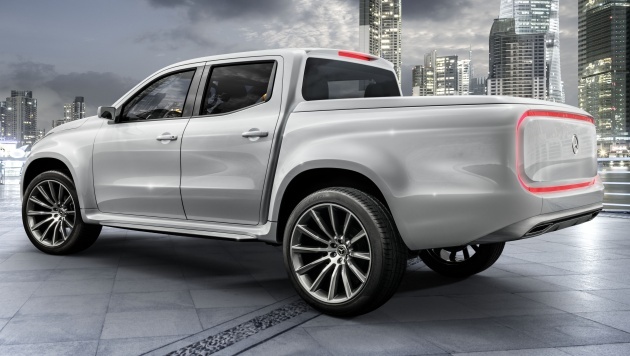 Still in the moment of introduction, Mercedes-Benz showcased its premium pickup was in Artipelag Art Museum in Stockholm, Sweden, recently. 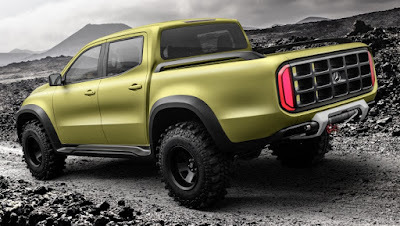 At that time, there were two pickup models on display in a different style, the Concept X-Class Stylish Explorer with a white body color and Powerful Adventurer was wrapped in green paint. As is known, the Concept X-Class is built on collaboration with the Renault-Nissan Alliance. Although the results of the cooperation, the Concept X-Class is much different from the Nissan Navara or Renault Alaska. 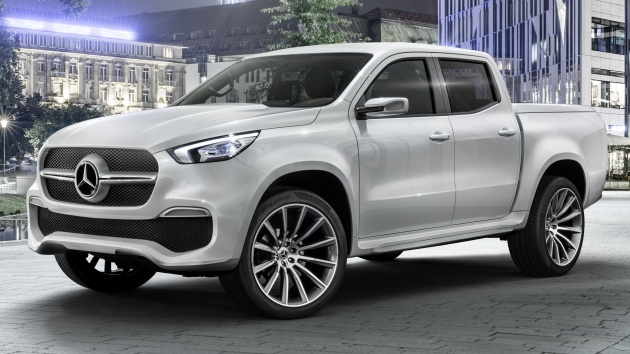 The entire exterior and interior of the Mercedes Benz Concept X Class has undergone extensive renovations to give a different appearance. As quoted of the Paultan on Wednesday, October 26, 2016, there are some features borrowed from Nissan, like an engine start button, climate control, four wheel drive switchgear, overhead console, and hand brake operated either manually or electrically. Previously, Mercedes Benz revealed that the highest variance of its pickup truck will be powered by a V6 turbodiesel engine, the possibility of a capacity of 3.0 liter that produces the power up to 258 hp and peak torque of 620 nm.